For some athletes, basketball can be about lighting up the stat sheet, driving down the lane with the fanciest euro-step or even being deemed as the biggest name on their team. 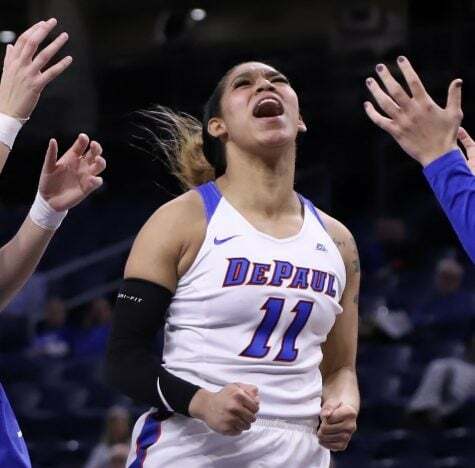 One athlete who prioritizes doing the little things and whatever it takes for her team to win, though, is senior guard and Chicago native Tanita Allen. 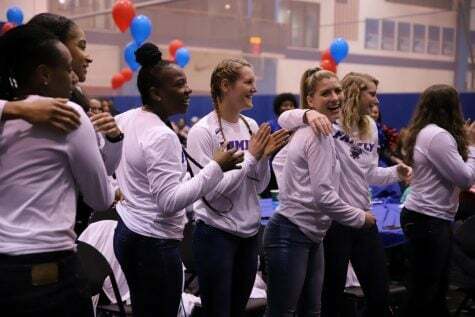 The five-foot-10-inch lefty has slowly but steadily captured the role of being the sixth man for the women’s basketball team and its head coach Doug Bruno. 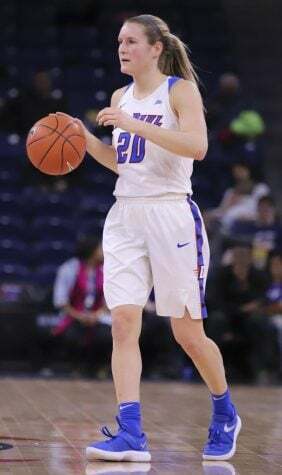 Having started just 12 games in over 100 appearances throughout her DePaul tenure since she arrived in Lincoln Park in 2015, Allen averaged 7.6 points per game in her first three seasons while averaging 3.8 rebounds per contest. Allen’s hard work and competitive spirit have led her to earn numerous awards over the years. Allen received the 2016-17 Big East Sixth Woman Award following a season-long campaign when she put up 9.2 points per game and 5.0 rebounds per game in 35 affairs off the bench while shooting 46.0 percent from the field. 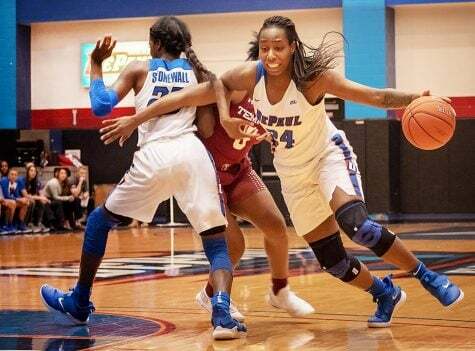 Additionally, Allen was named the 2018 DePaul Sixth Player Award and was named to the 2017-18 Preseason All-Big East team. Equally important, Allen is a diligent worker inside the classroom as well, earning a degree in sociology. 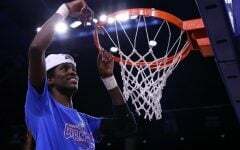 Allen is a three-time member of the Big East All-Academic Team and is also a two-time recipient of DePaul’s Shirley Becker Academic Award. 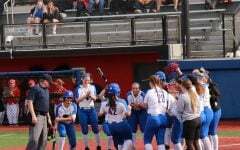 Her impact to the team made Friday night’s events more concerning. 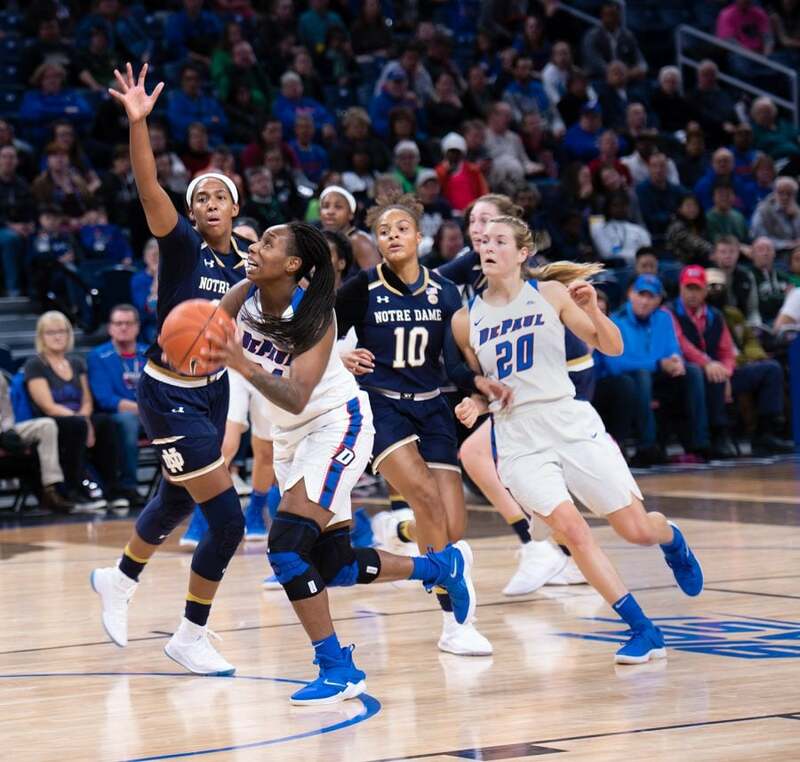 Allen was helped off the court by two of her teammates with an unkown injury and did not play against Xavier on Sunday afternoon. 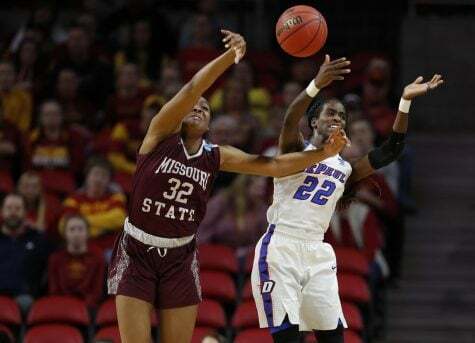 For now, it will be on Allen’s teammates to fill the void left by her injury. This season, Allen is averaging just over six points per game in 20 games played and has the opportunity to become the 38th player in program history to record 1,000 total points. Scoring, however, is not Allen’s top priority on the basketball court and she is comfortable in her role coming off the bench. Allen scored a career-high 30 points in a road game against Seton Hall in Jan. 2017. 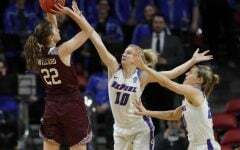 Not afraid to perform well under pressure, Allen scored 25 points on 9-of-11 shooting, including five-of-six from beyond the arc in DePaul’s 2017 NCAA tournament opening win versus Northern Iowa. 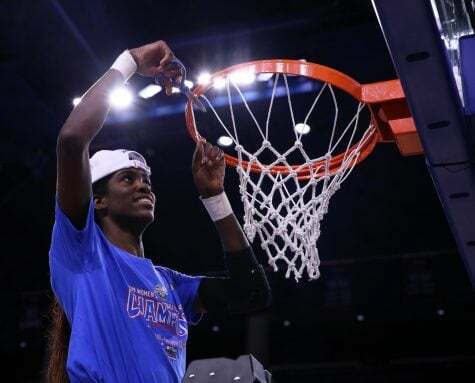 This performance was immediately before getting assigned the task of defending Mississippi State’s Teaira McCowan, a 6-foot-7-inch center who is now a top prospect in the 2019 WNBA Draft, in the second round. Senior Guard Tanita Allen muscles her way down the court against Temple University on Dec. 3 at the McGrath-Phillips Arena. 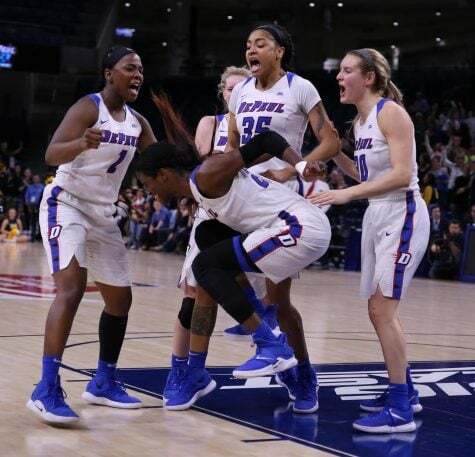 The Blue Demons beat Temple 102-88. Perhaps of the Allen’s most unique features is her nickname “Lay-Lay.” Allen’s teammates refer to her as that, including Bruno. Before coming to DePaul, Allen played at Whitney Young Magnet High School in Chicago’s Near West Side neighborhood. While there, Allen helped Whitney Young reach two state championships and led her team to a 130-10 record in four seasons. Allen ranked No. 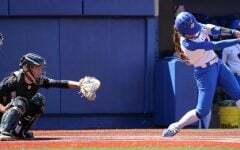 22 in the nation at her position by ESPNW and was listed as the No. 4 player on the Carolina Scouting Report’s Top 100 in the class of 2015. 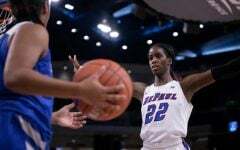 Her time at Whitney Young made DePaul the best place for her to pursue a collegiate career. 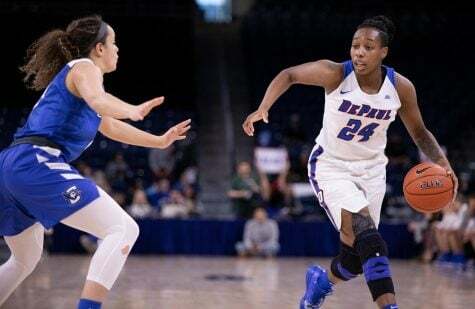 One of Allen’s most beneficial assets according to her teammate, senior guard Ashton Millender, and Bruno, is Allen’s ability to give DePaul a strong defensive presence on the interior, which is crucial for the undersized team that DePaul already is. 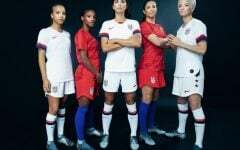 Allen mentioned that her confidence has grown all-around in the last four years because of finding more ways to score, thus contributing to her team’s success. Allen, also, takes a lot of charges. 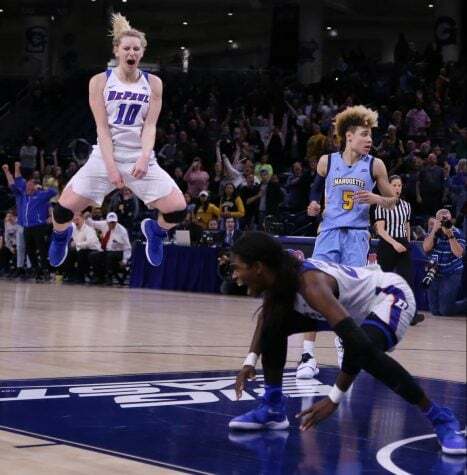 Off the court, Allen lifts her teammates up during practice when they get down and need a rejuvenated sense of energy. With Allen’s career coming to a close this spring, she hopes to look back and say that she made the most out of her time at DePaul. Thanks for sharing the informative information through the article windows 10 dvd player free download and all the details are awesome and good in this post. DePaul and Marquette meet again in the Big East Tournament championship game.